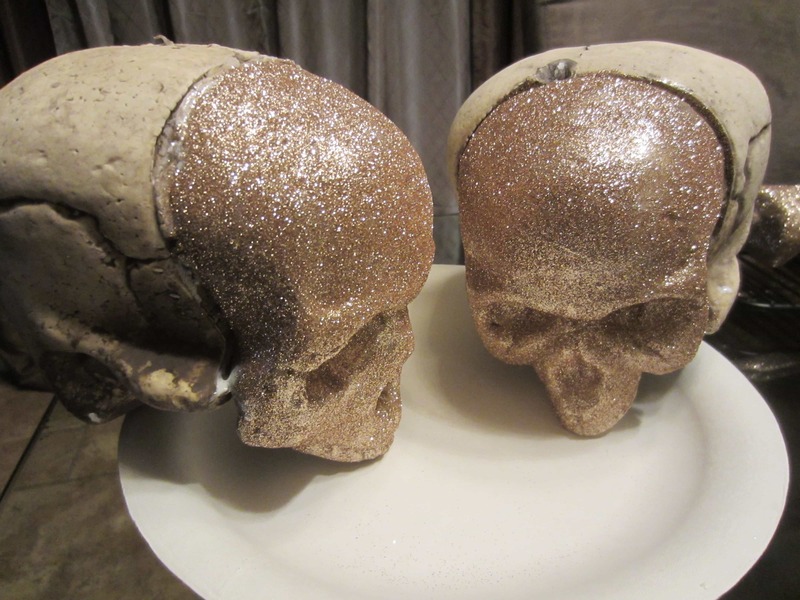 I saw these beautiful glittered skulls in a little boutique the other week. The first thing I thought of (the first thing I always think of) was that I can make that! Then, of course, I forgot about it. A week later I saw them at Target, at another craft boutique, and then again on Martha Stewart’s website! 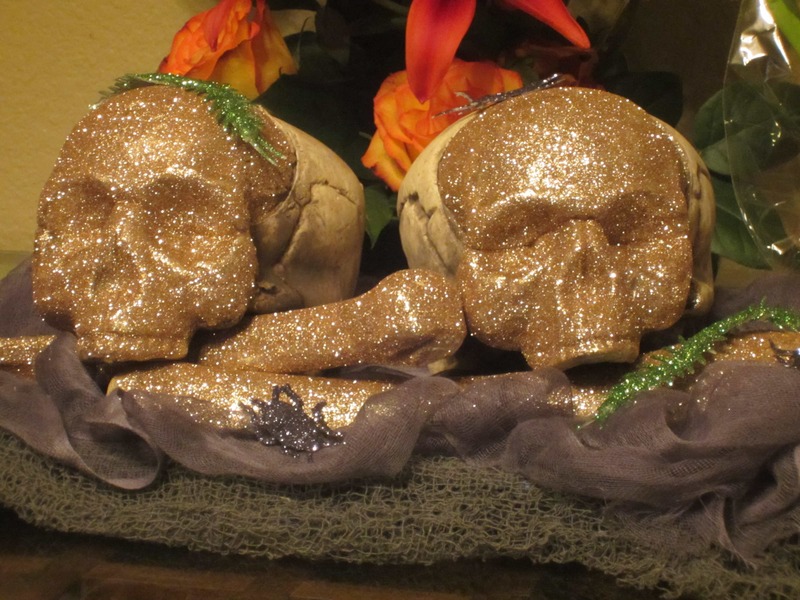 So needless to say, I finally sat down to make these glittered skulls. 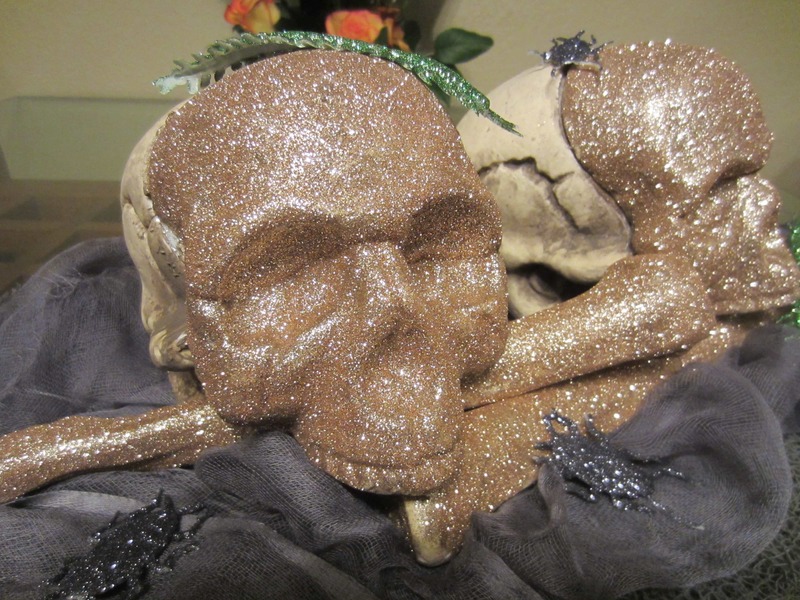 Since I am obsessed with Halloween (and glitter), I didn’t have to buy anything to complete this project! 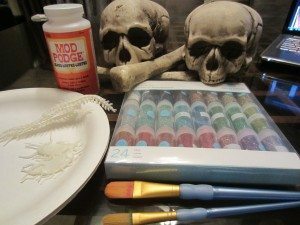 I had everything in my craft room or my garage. Here are the materials I used. 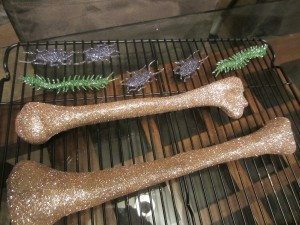 This is an easy and fun Halloween craft that you can do with kids. It is pretty self-explanatory, but I thought I’d post some pictures and some tips to make your life easier (and less messy). Tip One: Use several paper plates. Use one plate for applying glue, and one plate for each color of glitter you use. Also have extra on the side just in case. Tip Two: Use a cooling rack to set your newly glittered bugs and bones on to dry. 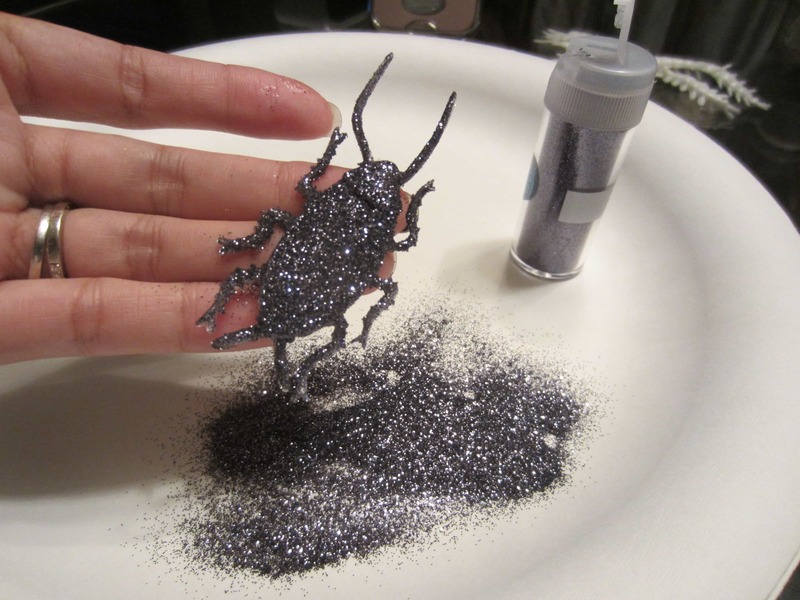 Tip Three: You don’t have to glitter the parts that do not show. This will make it easier to hold as you glue and glitter. If you would like to glitter the entire piece, I suggest applying one side, allow it to dry completely, and then apply the second side. Tip Four: Keep a damp paper towel near you at all times and wash your hands in between glittering with each color. 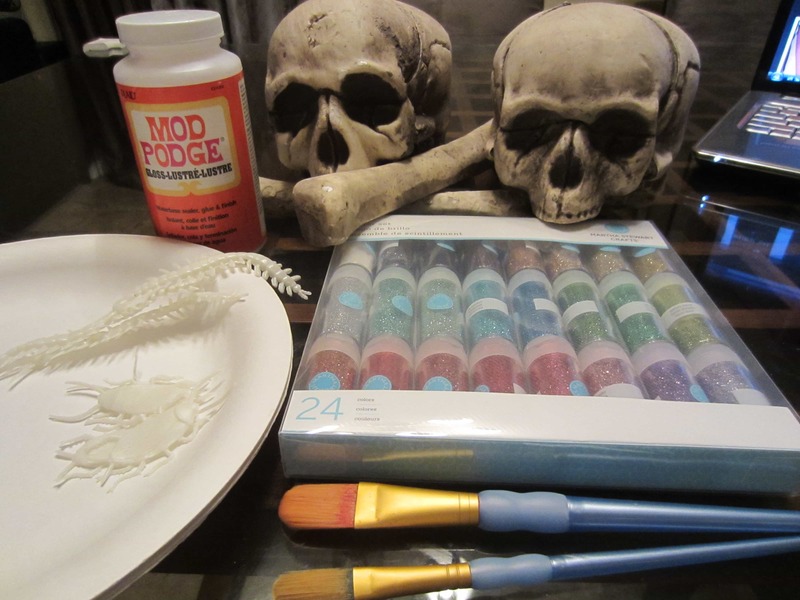 Tip Five: Keep an extra small paint brush on hand. You can use this one for touch ups. 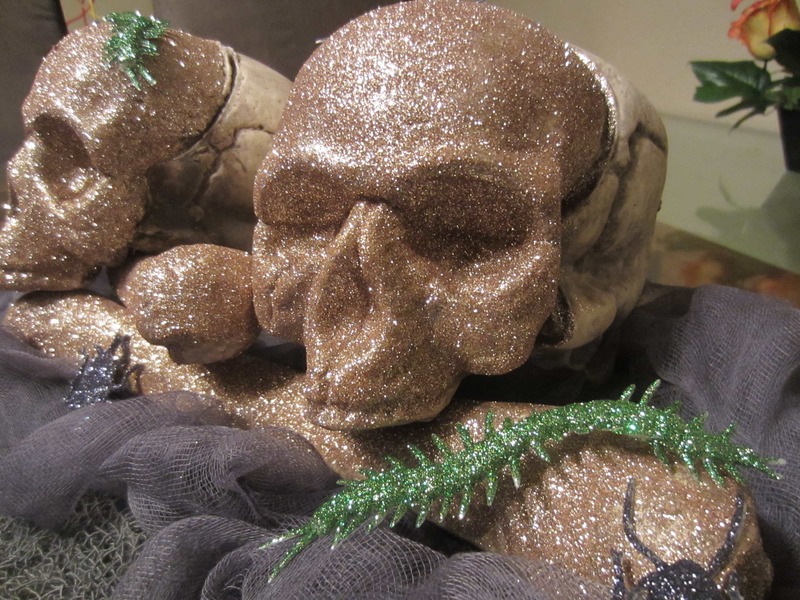 Tip Six: The dollar store is a great place to find Halloween items to glitter. 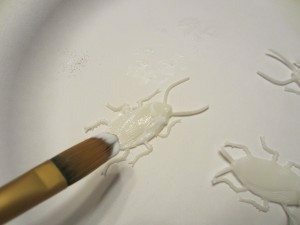 Tip Seven: Wash and clean your paint brushes right away. Here are a couple pictures. 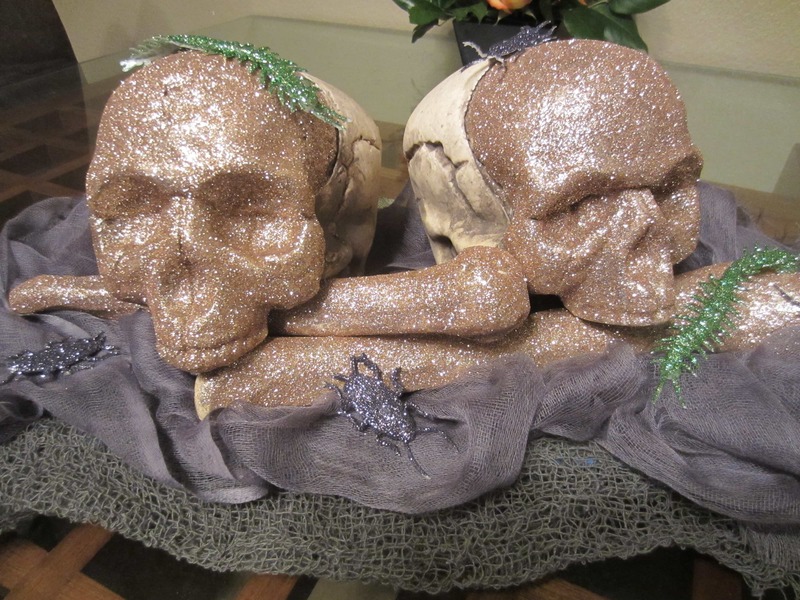 I chose not to glitter the back of the skulls because I liked the contrasting texture and color. 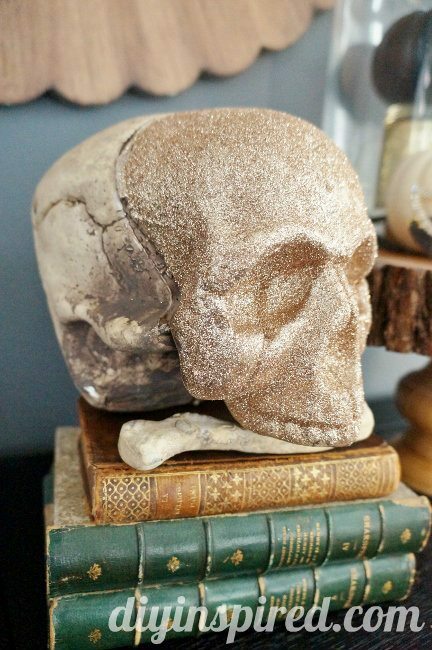 These skulls are really pretty!